We are so proud of our clients and colleagues and are always delighted to share their good news. With the addition of Peter Paul Olszewski, Jr. as managing partner of Scartelli, Distasio & Kowalski, P.C., the firm expands its traditional personal injury presence into the criminal defense arena. Former two-term elected Luzerne County District Attorney and Common Pleas Judge Olszewski brings more than 25 years of unique litigation experience to Scartelli, Distasio & Kowalski, which serves the Scranton and Wilkes-Barre regions of Pennsylvania. Olszewski, as the new managing partner of Scartelli, Distasio & Kowalski, focuses his practice on criminal defense, medical malpractice, and personal injury matters. 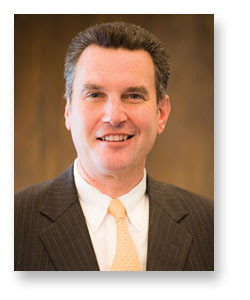 His experience as both a prosecutor and judge in criminal and civil trials benefits clients by providing unique perspective to his litigation strategies. “We are pleased to have such an experienced attorney to head our criminal defense practice and manage the firm’s day to day operations. Peter’s experience in both private practice and as a public servant gives him insight into not only the criminal justice system but also the more difficult planning and organizational duties required of a managing partner,” said Melissa Scartelli, the firm’s founding partner. Prior to joining the Scranton and Wilkes-Barre firm, Olszewski spent eight years as District Attorney of Luzerne County, during which time he tried 18 cases to jury verdicts, including seven first-degree murder verdicts. During his nine years as a Luzerne County Court of Common Pleas Judge, Olszewski oversaw more than 180 criminal jury trials, including five capital homicide cases. As a result, Olszewski can anticipate reactions from both the prosecution’s perspective and the bench. Already using his experience to benefit clients, Olszewski has successfully suppressed statements made by a then-16-year-old to state police officers after his arrest in a high profile murder case in Luzerne County. Olszewski also successfully argued the transfer of his client to a juvenile facility so that he could have age-appropriate programs available. While he joined Scartelli, Distasio & Kowalski as a shareholder in January, Olszewski is no stranger to private practice. After graduating from The Dickinson School of Law in 1984, Olszewski engaged in private practice, focusing on criminal, civil, and family law trials throughout Northeastern Pennsylvania. He held positions as solicitor to the Pennsylvania Conference of State Police Lodges and assistant solicitor to the Pennsylvania State Police, Fraternal Order of Police, Frank Albert Memorial Lodge No. 43. Olszewski is admitted to practice before all of Pennsylvania’s state courts, the U.S. District Court for the Middle District of Pennsylvania, the U.S. Court of Appeals for the Third Circuit, and the U.S. Supreme Court. He is Capital Case Certified and certified by the National Board of Trial Advocacy as a Criminal Trial Specialist. Committed to contributing to the Scranton and Wilkes-Barre areas, Olszewski is co-chairman of the Wilkes-Barre Law & Library Association Criminal Law Committee and serves on the board of the Anthracite Golf Association, which promotes golf to young people and adults in Northern Pennsylvania. An Eagle Scout and former President of the Northeastern Pennsylvania Council of the Boy Scouts of America, Olszewski also is a member and past Exalted Ruler of the Benevolent and Protective Order of Elks, Wilkes-Barre Lodge 109, a member of and scripture reader at St. Frances Cabrini Church, Carverton, and a former Alumni Trustee of The Dickinson School of Law. A native of Wilkes-Barre and a resident of Dallas, Olszewski spends his off-hours golfing, archery hunting, and with his wife and daughter. Scartelli, Distasio & Kowalski, P.C. was founded in 2001. The firm handles a range of complex matters on behalf of accident victims, malpractice victims and other injured individuals and their families. The firm also represents criminal defendants. Practice areas include automobile accidents, auto defects, construction and workplace accidents, criminal defense, defective drugs and medical devices, insurance bad faith, liquor liability, medical malpractice, nursing home negligence, premises liability, product liability, professional liability and psychiatric malpractice. Scartelli, Distasio & Kowalski is small enough to care yet large enough to win for their clients in the Scranton and Wilkes-Barre, Pa., region. To learn more about the firm, visit http://www.sdklawfirm.com. Will Your Digital Dirt Come Back To Haunt You?